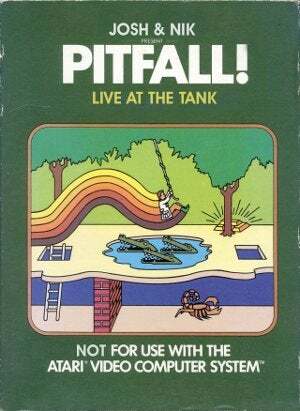 Filed to: pitfall!Filed to: pitfall! Teams of four will traverse the hazards of Atari 2600 classic Pitfall!, using a projected background and a theater stage, in the "Come Out & Play Festival 2009" tonight in Manhattan. Here's how it works: Pitfall! levels will be projected onto a back wall and floor of a theater stage. A rope is suspended from the middle of the ceiling. Team members must advance through the level by running, jumping or swinging over pits, alligators, snakes and other obstacles. Grabbing treasures gives a team 4,000 points - touching a rolling log deducts 100, just like in the 1982 game. Teams will play until they lose all four members or 5 minutes are up, whichever comes first. The winner gets a trophy made from the original 2600 cartidge. Sounds like a neat idea. If anyone goes, snap some pics and send them to me or to tips. We'll run them tomorrow.